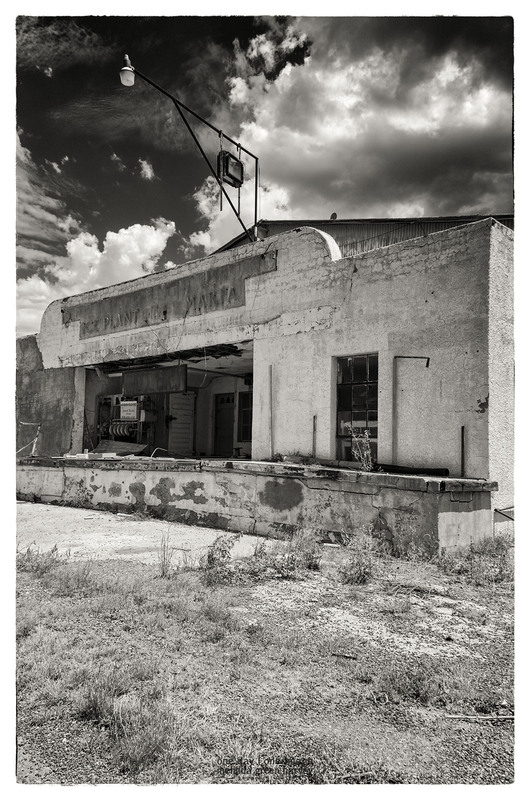 Posted on February 21, 2017, in Photography and tagged 365 photo project, abandoned buildings, architecture, black and white photography, marfa, marfa texas, melinda green harvey, monochrome, NIK Silver Efex Pro 2, one day one image, photo a day, photography, postaday, texas. Bookmark the permalink. 8 Comments. Or perhaps it’s a previous gallery or boutique… or both. There was some art-gallery-looking stuff, but the gallery was about as successful as the ice house. Shot an abandoned business here some time ago. A week or two after that one homeless person killed 3 other homeless people. That gave me a different kind of shivers. Stay safe because we need you MGH. Thanks for sharing that story. I think. I do try to be vary of my surroundings and never discount the potential for danger. My husband is convinced that one of these days I’ll look inside an abandoned place and see a dead body. I hope he’s wrong. Thanks – summer skies in that part of Texas are frequently dramatic and interesting.